Did you know nearly a third of organizations surveyed in a PwC 2016 survey identified a lack of qualified workers as a barrier to growth? 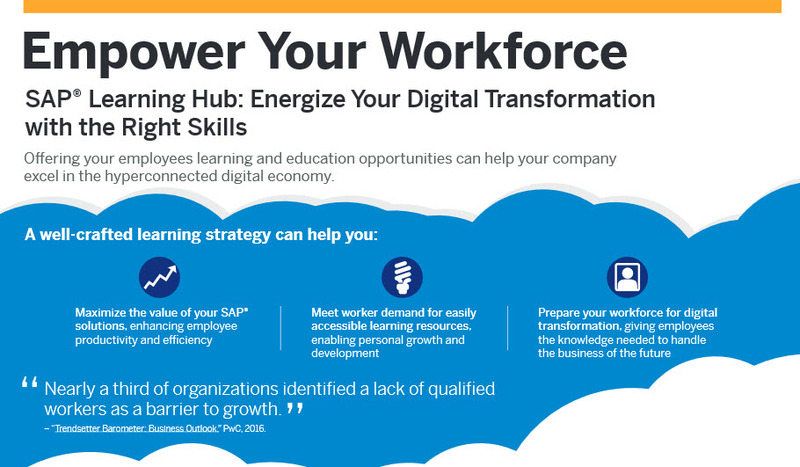 Continue your digital revolution success and empower your workforce with the skill sets required to compete and be relevant in this age of transformation. Organizations that have considered the latest learning technology have increased the training consumed by 13x with no additional costs.